As unsocial and unresponsive to mails and messages as I am, I have managed to create a good personal brand online. And I can tell you that you have a better chance than me at doing so too. Today, I am going to share with you tips to help you create a consistent and powerful image of yourself online. One you will be very proud of and that will bring the right personal and professional opportunities your way. LinkedIn is the quickest way to create any to-be-seriously-taken image of yourself online. 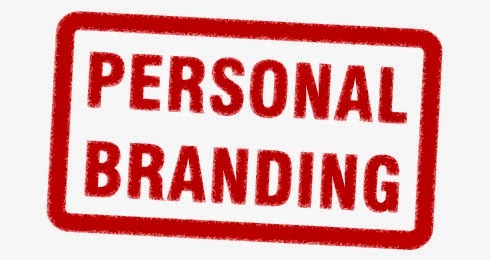 If you want to brand yourself as a Personal Development Coach, it is just as easy as putting it in your LinkedIn profile title. People take seriously what they read about you on LinkedIn. And you should put a very good looking professional portraying picture of yourself on LinkedIn. Not some selfie that you can't have printed on a newspaper article about you. You should have a well filled LinkedIn profile. You should join Lagos Business Club group and other groups that interest you. You should sign up for the one-month free LinkedIn premium account. Make sure you cancel before the end of the one month free subscription. Here is the LinkedIn Premium subscription link. Follow the influential people you like. Don't be too silent on LinkedIn. Share useful content and if you can write articles. See examples of articles I have put up on my LinkedIn which have gotten me some business deals and new connections. Finally, view my very well made LinkedIn profile for ideas of what you can do to improve yours. Slideshare is another not too popular social site you should be on. It is a very quick and unique way of showing your knowledge and professional profile to the world. You should start with converting your LinkedIn profile to a Presentation and share it on Slideshare. Don't worry, once you sign up at www.slideshare.net you will see the option to do that LinkedIn profile share. And those are my quick tips on how to work towards having a good personal brand online. You will notice that I didn't mention Twitter, Facebook and having a blog. They are also important but I believe you already have your mind made up on whether to use them or not. But if your mind is not made up I will advice you use them too. Is there a danger of 'over-exposing' yourself on the internet? How can you guard against that? Yes, there is. But it is mostly due to going to unsafe internet sites and leaving your personal details where one shouldn't. 1. Is this going to hurt me someday in the future? 2. Will this hurt my professional profile when it shows up in google search? 3. Do I have genuine (not follow the masses) reason for wanting to do this? Your answers must be "NO" for the first two questions and "YES" for the last one.